Lowman S. Henry is Chairman and Chief Executive Officer of the Lincoln Institute of Public Opinion Research, Inc., a non-profit public affairs foundation based in Harrisburg, PA. He serves as host of American Radio Journal heard on over 200 radio stations nationwide, and is host of the Lincoln Radio Journal, a weekly public affairs radio program syndicated on over 90 Pennsylvania radio stations. He is also President of the Pennsylvania Leadership Council, Inc., which produces the annual Pennsylvania Leadership Conference. He began his career as a broadcast and print journalist, served as Political Director of the Republican State Committee of Pennsylvania, Chief of Staff to State Senator Earl Baker, and as Executive Assistant to the Attorney General of Pennsylvania. He currently serves in elective office as Chairman of the Lower Paxton Township Board of Supervisors, and previously served as a Dauphin County Commissioner. He was the Republican Party’s nominee for Pennsylvania State Treasurer in 1992. He is Chairman of the board of directors of the Pennsylvania Manufacturers’ Association (PMA) and the PMA Foundation; Chairman of the Citizens Alliance of Pennsylvania (CAP); board member of the Foundation for Free Enterprise Education; board member at the Allegheny Institute for Public Policy in Pittsburgh; board member of the Colonial Park Rotary Club Foundation; a member of the Republican State Committee of Pennsylvania; and is a Director Emeritus of the Pennsylvania Association of Nonprofit Organizations (PANO). Mr. Henry is a member of the Charlton United Methodist in Lower Paxton and is a past president of the Colonial Park Rotary Club. He is a graduate of Gannon University in Erie, Pennsylvania. He is married to Carol Lynn Henry, and they have three sons. 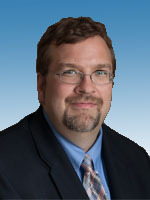 David N. Taylor is President & CEO of the Pennsylvania Manufacturers' Association, the statewide trade organization representing the manufacturing sector in Pennsylvania's public policy process. Now in his 21st year with PMA, Taylor is the association's chief spokesman at the state Capitol in Harrisburg and in the media. He is editor of the PMA Bulletin and host of the statewide television program "PMA Perspective" on the Pennsylvania Cable Network. A frequently-sought guest and commentator, David is regularly quoted by media outlets across the commonwealth and around the world, having been interviewed on television by NHK (Japan), ARD (Germany), and CBC News (Canada), as well as over the airwaves by BBC Radio 4 (UK) and CBC Radio Canada. 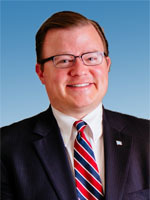 He is also the host of "Capitol Watch", a twice-monthly news and commentary program on "Lincoln Radio Journal", which is heard on more than 90 radio stations across Pennsylvania. David is a board member of the Pennsylvania Manufacturers' Association, the Pennsylvania Steel Alliance, the Foundation for Free Enterprise Education, the Business-Industry Political Action Committee (BIPAC), the Pennsylvania Leadership Council, and the Lincoln Institute for Public Opinion Research. David was a member of Governor Tom Corbett's Manufacturing Advisory Council. He is school board president of Reach Cyber Charter School, an online public school providing a broad range of science, technology, engineering, and math (STEM) enrichment for students. 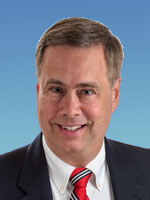 Prior to joining PMA, David worked in the United States Senate and the Senate of Pennsylvania. A native of Huntingdon PA, David is a graduate of Dickinson College, where he majored in History and Dramatic Arts. He is a member of the Huntingdon Presbyterian Church and Central Pennsylvania MENSA. He lives near Hershey PA with his wife and daughter. Rebecca K. Oyler is Pennsylvania Legislative Director of NFIB, the nation's leading small-business advocacy association, with offices in Washington, D.C. and all 50 state capitals. She manages government relations for the Harrisburg, PA office, advocating in the state Capitol and in the community for small-business priorities. Before joining NFIB in 2017, Rebecca worked in policy development, legislative advocacy, and project management in many areas of state government for nearly 20 years. 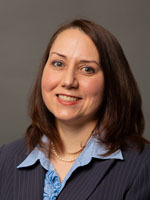 As Director of Policy for the Pennsylvania Department of State and the Department of Conservation and Natural Resources, and as a policy specialist at the Department of Community and Economic Development, she advanced policy and legislative initiatives in areas related to: economic development, elections, voter registration, natural resources, corporations, professional licensing, and notaries. She also taught as adjunct faculty in Millersville University's Department of Government and Political Affairs. Prior to returning to central Pennsylvania, Rebecca worked as a staff assistant at the American Enterprise Institute. Rebecca serves her community through involvement with her church, Mechanicsburg's St. James Presbyterian, and as a Girl Scout Troop Leader. She is graduate of the commonwealth's Leadership Development Institute and a member of Women in Pennsylvania Government Relations. Rebecca received her B.A. in International Relations from the University of Pennsylvania and M.A. from Georgetown University in National Security Studies. She enjoys spending time in the outdoors, reading, and playing the trombone in the Encores Big Band. Rebecca lives in East Pennsboro Township with her husband and two children. Joe Geiger, the President and CEO of First Nonprofit Foundation, brings more than 40 years of experience in the fields of education, human resources and nonprofit and association management. Joe recently served on the adjunct faculty at Duquesne University Graduate School where he taught Leadership and Organizational Business Ethics. Prior to entering the nonprofit field, Joe served as a secondary education social studies teacher and as a consultant for Organizational Effectiveness Group in Princeton, NJ, and Campaign Associates in King of Prussia, PA. He has also served as the Executive Director of the Keystone State Head Injury Foundation, held various executive positions with the YMCA and was a consultant/researcher for the YMCA of the USA in Valley Forge, PA. He became the executive director at PANO, the Pennsylvania Association of Nonprofit Organizations, in January 1995, after which he became a consultant to the government of Japan to counsel on the value of the nonprofit sector and why government and business should act as valued partners. The consultation was funded by the Japanese Exchange Foundation, Center for Global Partnerships. In addition to working in the non-profit sector, Joe also currently sits on the following Boards: The Lincoln Institute and the First Nonprofit Unemployment Benefits Board. He is also on the National Wrestling Coaches Association Board. He serves on the Service Academy Selection Committees for Senator Pat Toomey, as well as Congressmen Charlie Dent. 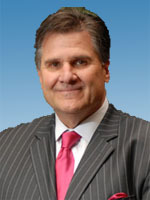 In the past, Joe served on the board for the Big 33 Scholarship Foundation, the Duquesne University Capital Region Advisory Board, National Standards for Excellence Board, Governor's Rehabilitation Advisory Committee, the Civil Justice Coalition, the Bloomsburg University of PA Alumni Board and the Board of Directors for the National Head Injury Foundation, where he chaired the Ethics Committee for the National Head Injury Foundation State Associations. 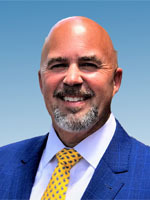 He has also served on the boards of C3 Publications, the American Trauma Society – PA Division, Thomas Jefferson University Hospital – OVR Project, Penn State University – Rehabilitation Department, the Harrisburg Area YMCA and the Oakmont V Homeowner's Association Board, as its President. 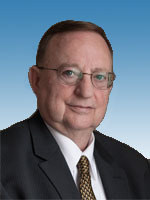 Geiger is also a Past President for the Lower Paxton Township Lion's Club and served on the DELTA Communities Board. Additionally, he has served on the FNICs boards for more than 20 years, acting as its Chair for the past 6 years. Joe's education includes a Bachelor of Science and Master's Degree in Secondary Education from Bloomsburg University of Pennsylvania. He graduated from Columbia University's Graduate Business School for Not-for-Profit Management. 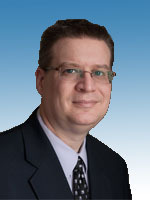 Joe is certified by the American Society of Association Executives as a Certified Association Executive. Additionally, Joe has been inducted in the Pennsylvania Association of Nonprofit Organizations Emeritus Society and the Lancaster Catholic High School Athletic Wall of Honor. Jake received his Ph.D. and M.A. in economics from Duke University and a B.S. in chemical engineering from N.C. State. Experience includes chemical process engineering, teaching at the university level, senior business economist with the Federal Reserve, head of regional research at Mellon Bank, research consultant, research director and managing director of the Allegheny Institute. Dr. Haulk is the author of many reports on issues affecting Western Pennsylvania's economy as well as analysis of the role and value of the nation's inland waterways system. Frank received his Ph.D. in economics from Clemson University and a B.S. in economics from St. Vincent College in Latrobe, Pennsylvania. Experience includes teaching at the university level and as an operations research analyst for the federal government in Washington DC. His areas of expertise include economic development, merger analysis, the economics of Pennsylvania's Marcellus Shale gas industry, analysis of Pennsylvania's casino industry, as well as analyzing the area's labor market. Publications have been included in Government Union Review, the national ERIC database, and the Journal of Sports Economics. Eric received his M.A. in public policy analysis as well as a B.A. in political science from Duquesne University. Eric's research, media appearances, and testimony have covered such topics as economic development, property taxes, Pittsburgh's finances and oversight, and municipal pensions. His work on tax increment financing has received national attention. In addition to coverage in Pittsburgh media, his work has been published in Economic Development Quarterly, Municipal Finance Journal, Reason Privatization Watch, and State Tax Notes. 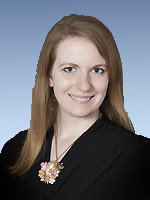 Anna L. McCauslin is the Deputy State Director for Americans for Prosperity – Pennsylvania, the Commonwealth's largest grassroots advocacy organization. AFP recruits and unites Pennsylvanians behind a common goal of advancing policies that will help people improve their lives. Anna has spent nearly 15 years working around the Pennsylvania state government, advocating for a good government and economic freedom. Mrs. McCauslin earned a bachelor's degree in political science and a master's degree in Public Administration from Shippensburg University (go Raiders!). She started her career in government relations having previously worked for two business associations. Anna specializes in building depth and breadth of knowledge on the many issues that impact Pennsylvania's individuals, communities, and businesses. When she isn't driving solutions to problems facing Pennsylvanians, she prefers to bake pies, keep a vegetable garden and spend time with her close family. Anna is a life-long Pennsylvania resident and lives in York County with her husband Chad, a gunsmith and small business owner, and two passionate and lively young children.